This is another great recipe from 小小米桶 cookbook. This is a zero fumes cooking dish with one pot cooking method. The only hard work is preparing the trotter. The trotter need to be wash, blanch, soak in cold water and wash again before used. Dried hawthorn and preserved plums match really well with trotter. 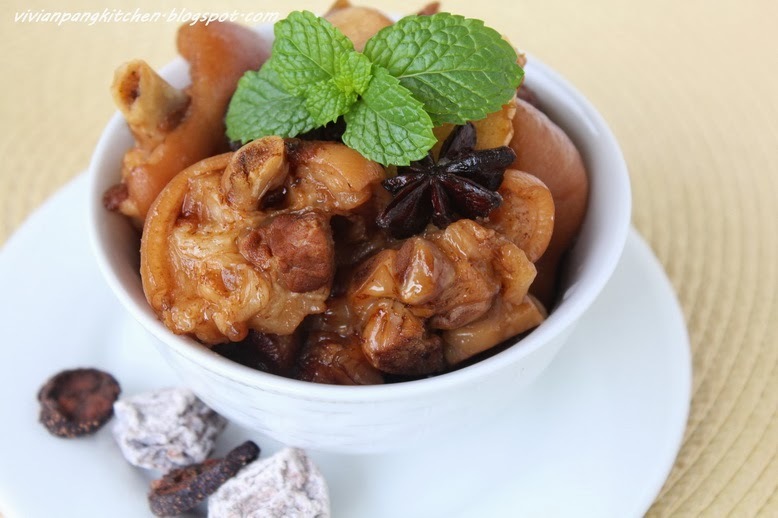 Trotter in sweet sour sauce is perfect to go with rice. 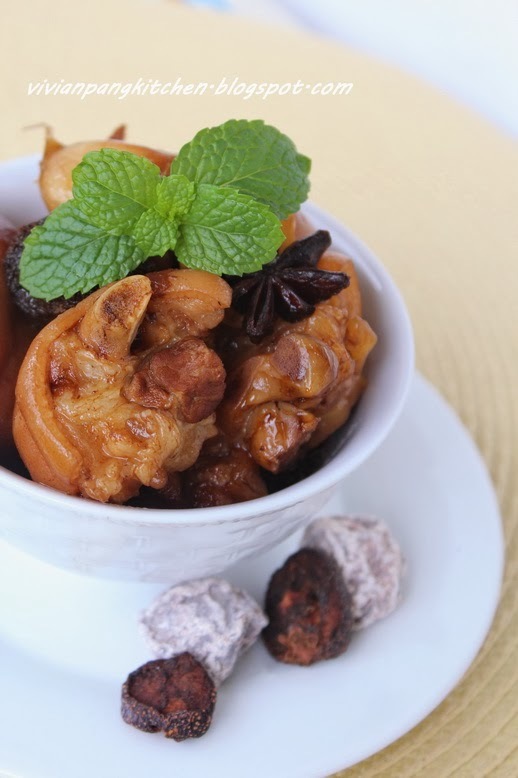 The dried hawthorn can quicken the tenderization of the pig knuckles as well as lessen the oiliness of the dish. Hope you will give this dish a try. Happy cooking! 1. Wash trotter till clean. Bring a pot of water to boil. Put in trotter and blanch for about 10 minutes. Drain and put into a pot with cold water (冰水). Discard the water and again wash with tap water till clean. 2. Put in the cleaned trotter into a pot. Add in the rest of seasoning. Lastly add in sufficient water till cover trotter. Bring the water to rapid boil on high heat. Then lower the heat and continue cook till trotter tender, about 1½- 2 hours.
. It is better to use less meaty trotter for this dish or use ribs or chicken wings.
. Dried hawthorn (山楂干) can be bought in Chinese medicine shop. I'm linking this post to The Little Thumbs Up event organized by Doreen from My Little Favourite DIY and Zoe from Bake for Happy Kids, hosted by Mich from Piece of Cake. 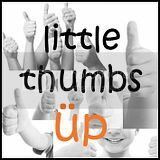 I will be me hosting November 2013 The Little Thumbs Up event with Oats theme. Oats from whole oat groats, steel cut oats (Irish oatmeal), Scottish oatmeal, rolled oats (regular or quick rolled oats) and even oat flour. Do link up your recipes started on 5 November 13 and have fun! Does this taste a bit like '黑醋猪脚'? Welcome to be our host for November!! Sweet sour but not taste like 黑醋猪脚. Do try and you going to love it! Waiting for your posts for Nov Thumbs Up! Would like to they this out.